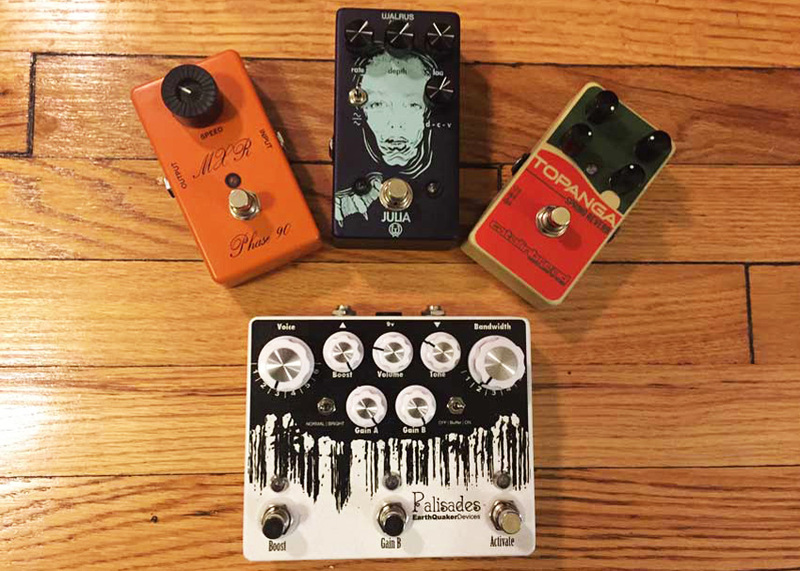 Electro-Harmonix’s Canyon pedal is, first and foremost, a powerful delay, sporting a smorgasbord of 10 delay modes that will repeat your notes with just about every type of special sauce you can imagine. 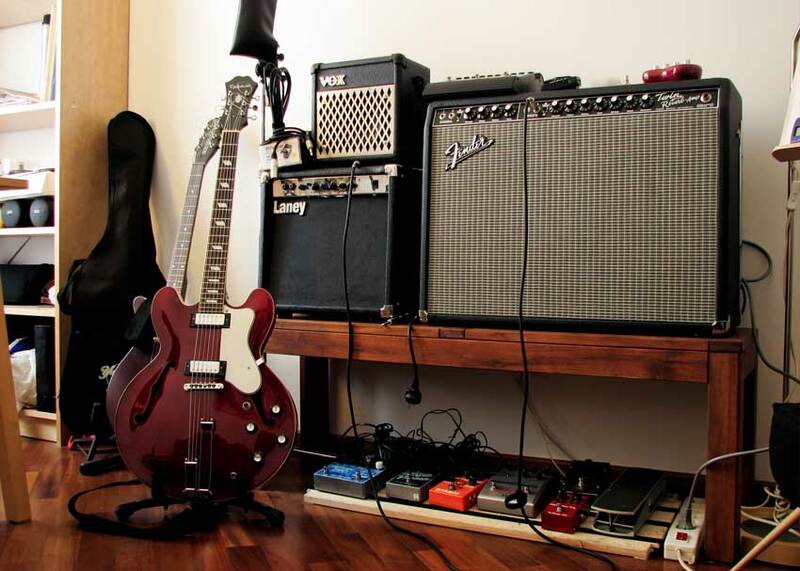 Tape warble, shimmering ambiance and multi-tap repeats — it’s all in here. Plus you get tap tempo and three selectable beat subdivisions (quarter, eighth and dotted eighth). It self-oscillates beautifully. And it even has a looper mode included! All this in a small-format pedal that only needs a 9V power supply — it’s not one of those 18V power-hogging digital behemoths. I realize this is starting to sound like an infomercial, so before you tune out, spare me just one more pitchman’s promise. That’s right, by holding down the pedal’s Tap/Divide button, you’ll enter Secondary mode, which gains you access to parameters in each mode that were previously not adjustable. Turning off the delay function and adjusting these parameters makes the Canyon a full-on multi-effects pedal. I’ll show you a few of my favorite examples with audio samples* (and how to dial in those sounds) below. *Please excuse the less-than-great recording quality. Let’s just say I am no engineer! The Canyon’s octave delay setting provides a playful arpeggiated sequence of high and low octaves after your original note is played. This effect is actually quite flexible and musical. Adjusting the delay time really takes it from a whimsical effect to one that could be a useful tool in making soundscapes. But I was really thrilled when I found that the Canyon could also be that standard octave pedal I’d wanted for a long time now. Mix to your liking* and enjoy! Tape is probably my favorite delay mode on the Canyon at the moment. It gives you warm, analog-sounding echo with a nice bit of warble and subtle grit that continues to degrade with each repeat. Turns out, that worn-out tape sound on its own makes for a very unique type of clipping overdrive. With the delay time turned down, in secondary mode, you can adjust the amount of distortion as well as tape “flutter and wow” to dial in a murky, modulated fizzy tone. This one may be a bit obvious but is worth listing nonetheless. The Canyon’s Verb mode is pretty unique — it leaves your initial note completely dry while putting all repeats through a lush reverb wash. While delay and reverb have long been complementary effects, sometimes you just need that touch of reverb to fill out your sound. Thankfully, you can get that from the Canyon. Feedback knob now acts as a low-pass filter, sort of like a tone control for the reverb. Turning counter-clockwise makes for a darker tone. In standard mode, the Canyon’s Mod delay, like Verb, will keep your initial note dry, then modulate your repeats with a swirling effect that’s a little bit chorus, a little bit flange. As you can hear, the pitch shifting can get pretty nuts. It’s a spacey, dreamy effect that gets out of control in a good way. But nix the repeats and you can turn that into a sort of chorus/flange hybrid. It’s an interesting tone to say the least. 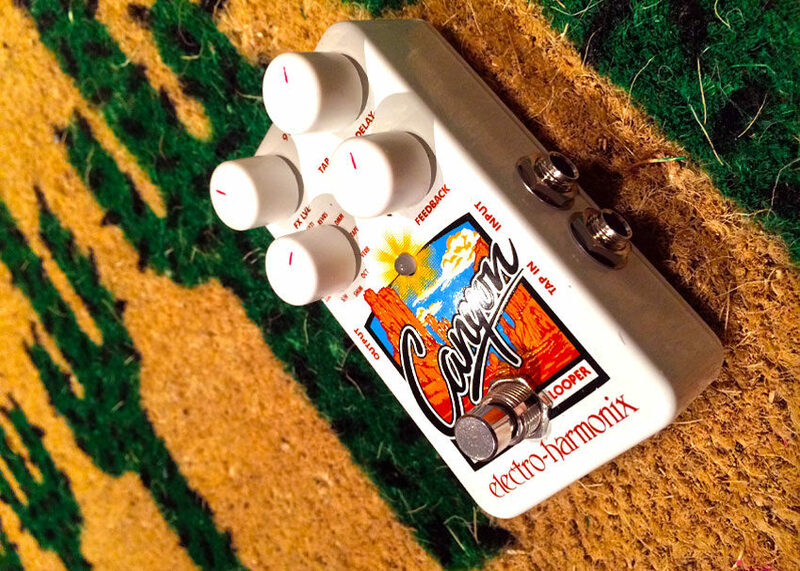 Like many EHX pedals, the Canyon rewards tinkerers with a host of unique tones hidden just out of plain sight inside. I also neglected to mention that there’s an internal switch to select whether or not you want delay trails to run after you turn off the pedal. Know of any other cool sounds in the Canyon I didn’t list here? Let us know in the comments!